Bon Mot — a show of poetry, the spoken word and all things word-inspired. Poets, authors, playwrights, comics, creative writers and storytellers (live and prerecorded) share the literary arts, intertwined with topical musical interludes. Rick Agran hosts and produces the program. 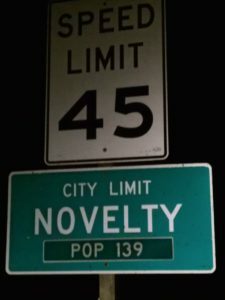 We passed a small town in the night on the way home from Dancing Rabbit community in rural Missouri. The program broadcasts live on WGDR 91.1 FM on Sunday evenings from 5 to 6:30 p.m. Bon Mot streams world-wide on WGDR.ORG and is archived for two weeks of on-demand listening enjoyment. WGDR Plainfield and WGDH Hardwick are Pacifica Radio affiliate stations. WGDR receives support from Goddard College, the surrounding community and local underwriters and the Corporation for Public Broadcasting. For information about broadcasts, to recommend a guest or explore being one, to discuss underwriting, or a donation to WGDR, please email: RadioBonMot(at)gmail.com. 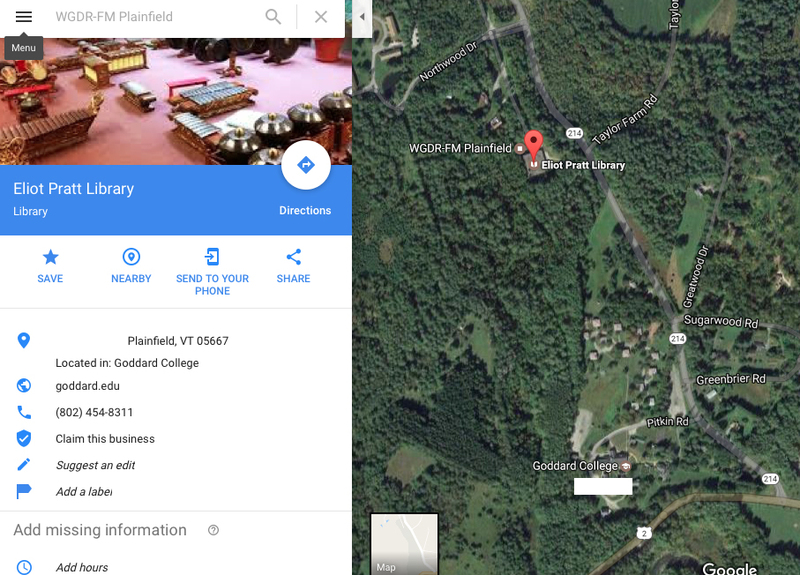 Find WGDR’s broadcast studios in the basement of the Eliot Pratt Library on the Goddard College campus in Plainfield, Vermont USA. Come in on Northwood Drive from Rte. 214 and follow the signs to WGDR and Pratt Library. WGDR is on the bottom floor. How to find Bon Mot!